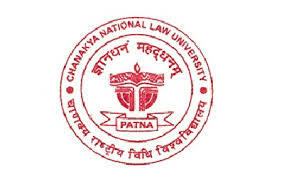 CHANAKYA NATIONAL LAW UNIVERSITY, PATNA is organising Two Day National Seminar on “LAW AND ECONOMICS: BANKING COMPETITION AND EFFICIENCY” on 7th DECEMBER 2013 (SATURDAY) & 8th DECEMBER 2013 (SUNDAY). Co-authorship is permitted with a maximum of two authors. But both the authors should register separately. Rs. 1500/- (with accommodation) – This includes seminar material, breakfast, lunch, refreshments and accommodation etc. during the seminar. (In case of paper submitted by two authors each author has to deposit individual registration fee). Rs. 750/- (without accommodation) – This includes seminar material, breakfast, lunch, refreshments etc during the seminar. (In case of paper submitted by two authors each author has to deposit individual registration fee). There will be no change in paper as well as the name of Author/Co-Author once accepted.